Nick Nolte is the latest actor to have joined the cast of The Mandalorian, the first live action Star Wars streaming series currently in development for Disney+, according to a new report from The Hollywood Reporter. As with all the other casting stories about The Mandalorian, the story has yet to be confirmed by Lucasfilm or Disney, however The Hollywood Reporter has a strong reputation when it comes to sourcing casting news before official announcements. Other reported members of the cast are Pedro Pascal, Gina Carano, and Carl Weathers. 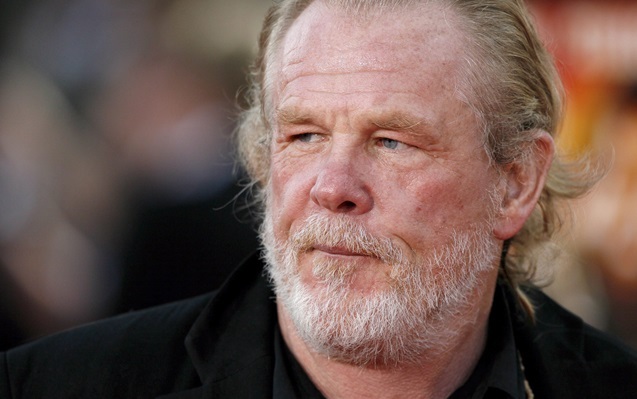 Nolte has been appearing in film since the early 1970s. He has been nominated for three Academy Awards in that time, two for best actor for his work in The Prince of Tides (1991) and Affliction (1998), and one for best supporting actor for Warrior (2011). He has also appeared in Who'll Stop The Rain (1978), Cape Fear (1991), and Hotel Rwanda (2004). The Hollywood Reporter also offered some insight into why the casting news seems to be coming so late, despite the fact that the series has been filming for quite some time. They write, "The series is already in production and is heavy on visual effects, costumes and make-up, which will allow actors to come and go as well as, in some cases, be cast later in the production process than usual." The Mandalorian is set following the events of Return of the Jedi and follows the adventures of a "lone gunfighter" as he navigates the galaxy in the post-Empire/early days of the New Republic. The series' first season is expected to be eight episodes. The episodes are written by executive producer Jon Favreau and directed by Dave Filoni (Star Wars: The Clone Wars), Taika Waititi (Thor: Ragnarok), Bryce Dallas Howard, Deborah Chow (Better Call Saul), and Rick Famuyiwa (Dope). The series is executive produced by Favreau and Filoni, as well as Colin Wilson and Lucasfilm president Kathleen Kennedy.